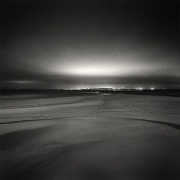 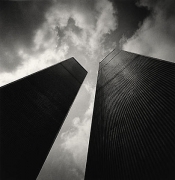 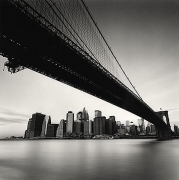 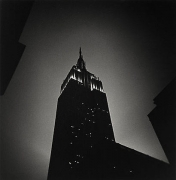 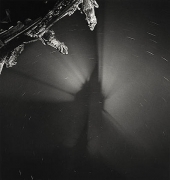 Joseph Bellows Gallery is pleased to present the gallery's third exhibition of photographs by internationally renowned photographer, Michael Kenna. 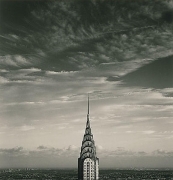 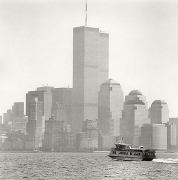 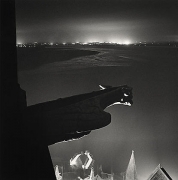 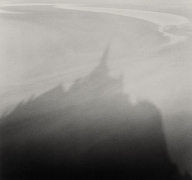 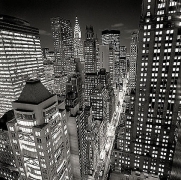 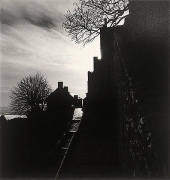 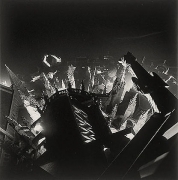 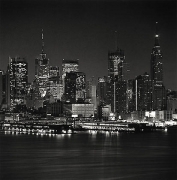 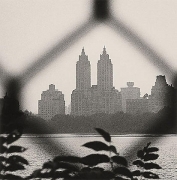 The exhibition will feature a selection of Kenna's photographs of New York City and Mont St. Michel, France. 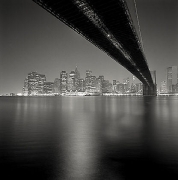 The exhibition will be on view from September 5th through November 8th, 2008. 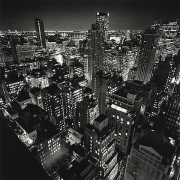 An opening reception will be held on Friday, September 5th (6-8 pm). 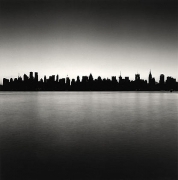 Few places have been photographed as frequently as New York City. 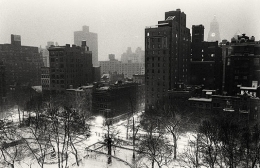 Journalists and tourists, amateurs and master photographers have often rendered the city as it is, a bustling, frenetic, energizing metropolis. 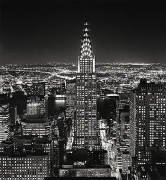 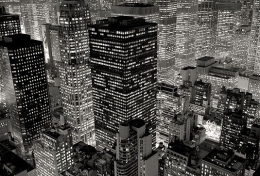 New York is "the city that never sleeps." 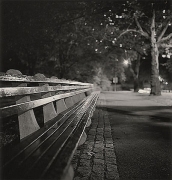 However, Kenna's exquisite black and white photographs capture a calm, restful, and strangely tranquil New York. 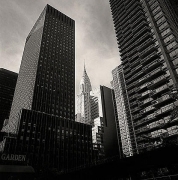 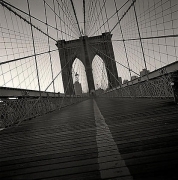 Iconic structures such as the Chrysler Building and the Brooklyn Bridge rise above the city like quiet, sleeping giants. 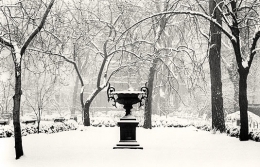 "Homage to Kertesz" reveals a snowy Gramercy Park garden to be vacant and silent. 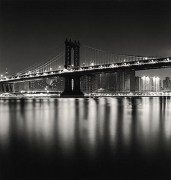 Kenna's formal, restrained compositions establish visual order in an otherwise chaotic environment, while his often dramatic perspectives and high contrast describe the energy, tension, and mystery characteristic of New York City. 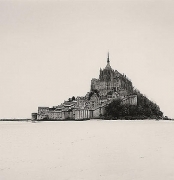 Kenna has also turned his lens to the small French island of Mont St. Michel, just off the coast of Normandy, and the magnificent abbey perched atop. 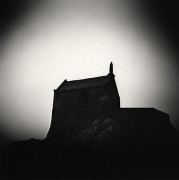 Drawn to the site at night, void of the tourists and cars that occupy the island during the day, Kenna captures the abbey as it was intended; a silent, sacred place for prayer and meditation. 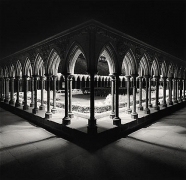 His photographs explore the ways light and shadows and clouds move around the mystical abbey, from the Gothic arches of the cloisters to the gargoyles and towers above. 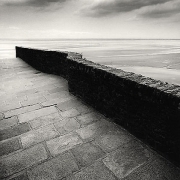 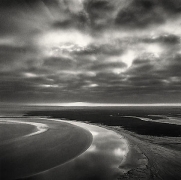 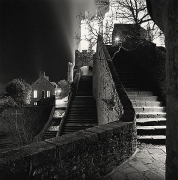 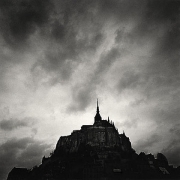 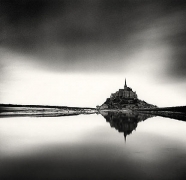 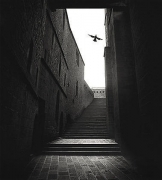 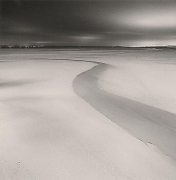 Michael Kenna was born in Widnes, England in 1953 and graduated from The London College of Printing in 1976. 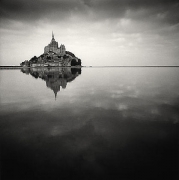 His work is the permanent collections of The National Gallery, Washington, D.C.; the San Francisco Museum of Modern Art; the Bibliothèque Nationale de Paris; The Museum of Decorative Arts, Prague; and The Victoria and Albert Museum, London among many others. 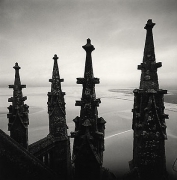 His most recent publications include Mont St. Michel (Nazraeli, 2007), Hokkaido (Nazraeli, 2006), Retrospective Two (Nazraeli, 2004), Ratcliffe Power Station (Nazraeli, 2004), and Japan (Nazraeli, 2003). 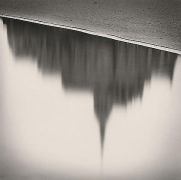 He lives and works in Seattle, Washington.